We can fit all our bigger mixer models with glass fiber lids. Glass fiber is very durable and easy to customize with bag cutters, spigots and visual inspection openings. A glass fiber lid also keeps the dust formation minimal especially if a dust removal system is connected. 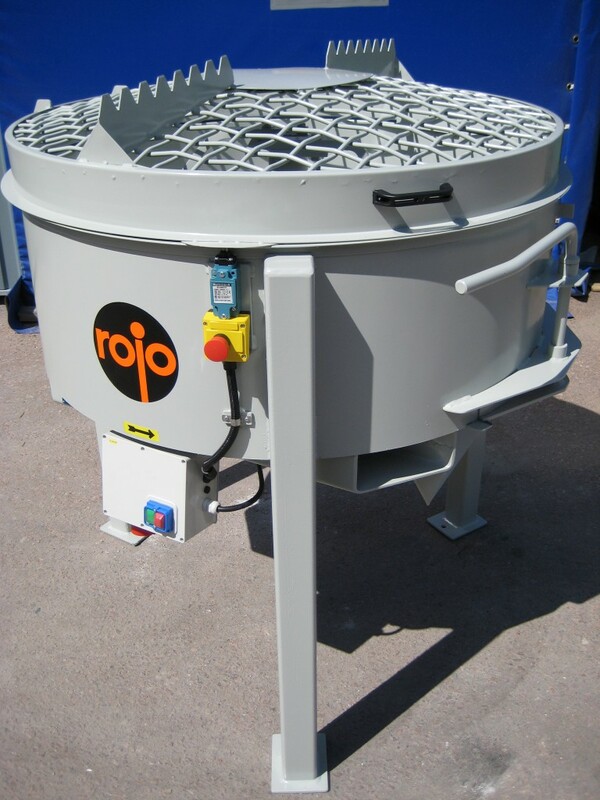 If seeing the concrete during mixing is important then the mesh lid is the best option. 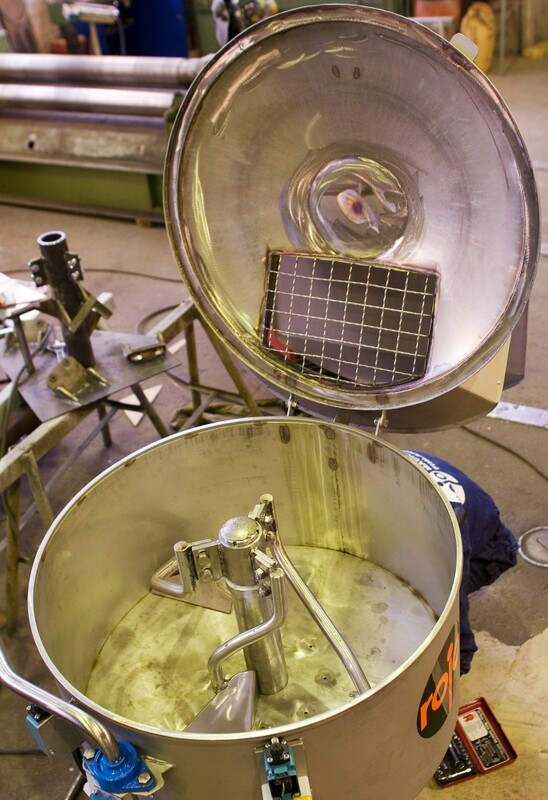 We make the mesh lids from a very strong steel mesh and then we press the lid to a convex shape. This way the lid can take a heavy load without bulging. We also make lids from steel sheet and lids that are split in sections. 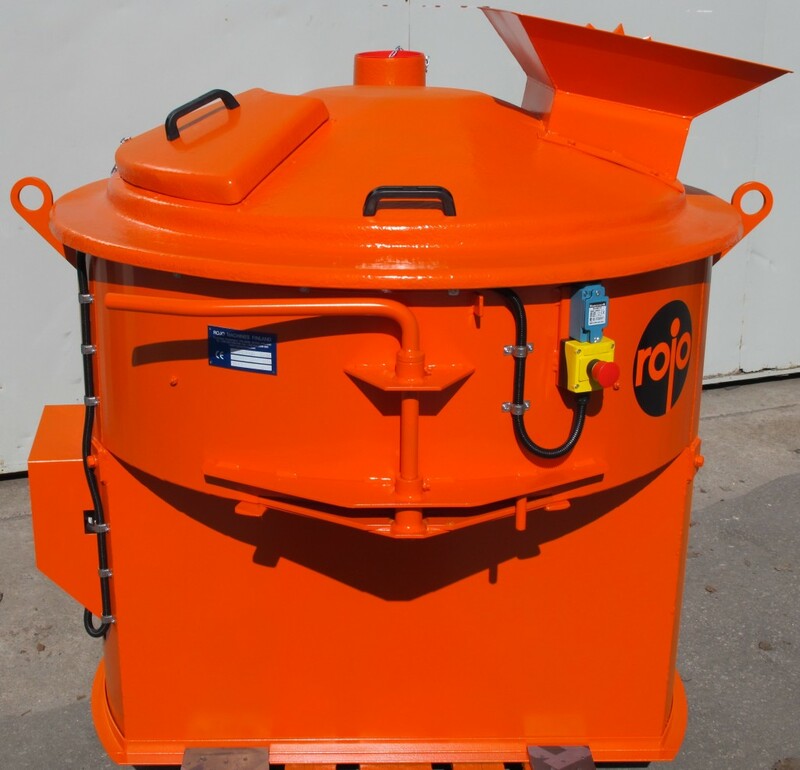 We can fit almost all our mixer models with a hydraulic cylinder that makes the emptying of the mixer quicker and easier. 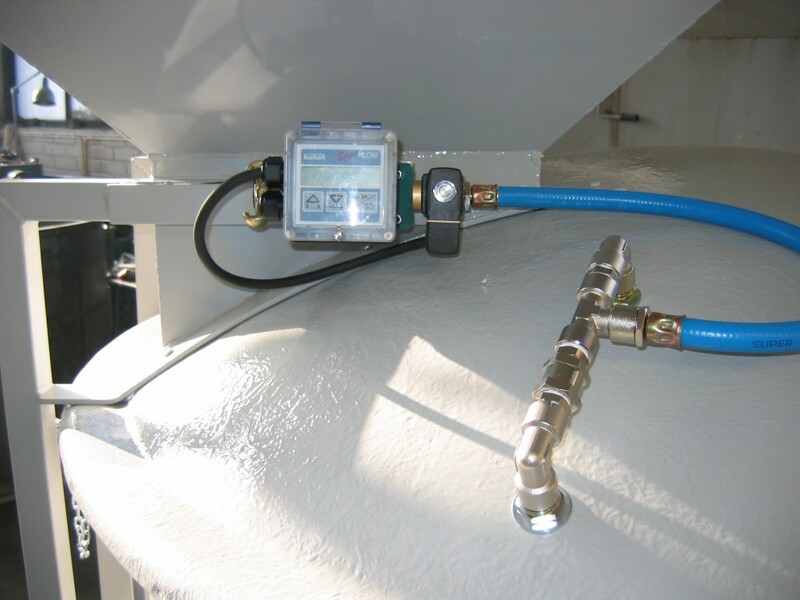 The system includes a hydraulic pressure unit, hoses and a lever to operate the discharge hatch. When mixing heavy concrete qualities for example refractory monolithics the paddles are under big stress. Refractory concretes can be very abrasive and for these mixing conditions our wear resistant paddles are the solution. We weld an extremely wear resistant steel to the edge of the paddle. Customers mixing concretes on an industrial scale also benefit from these special paddles. Our automatic water batching systems makes the water addition much easier and takes the quality control of the mix to the next level. The water batching system eliminates the risks of human error. The same quantity of water is added precisely in every batch. 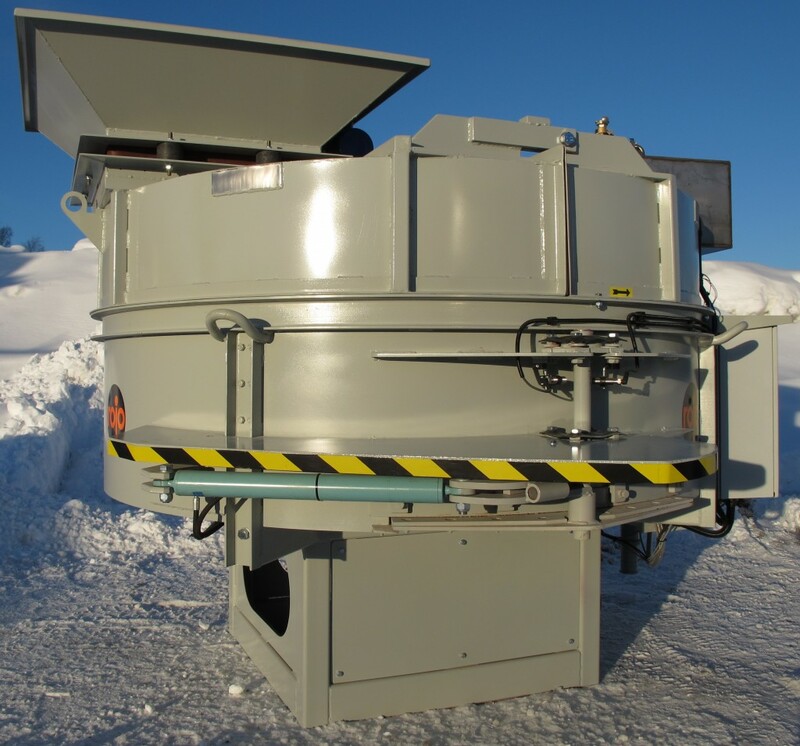 When mixing in clean environments dust control is essential. 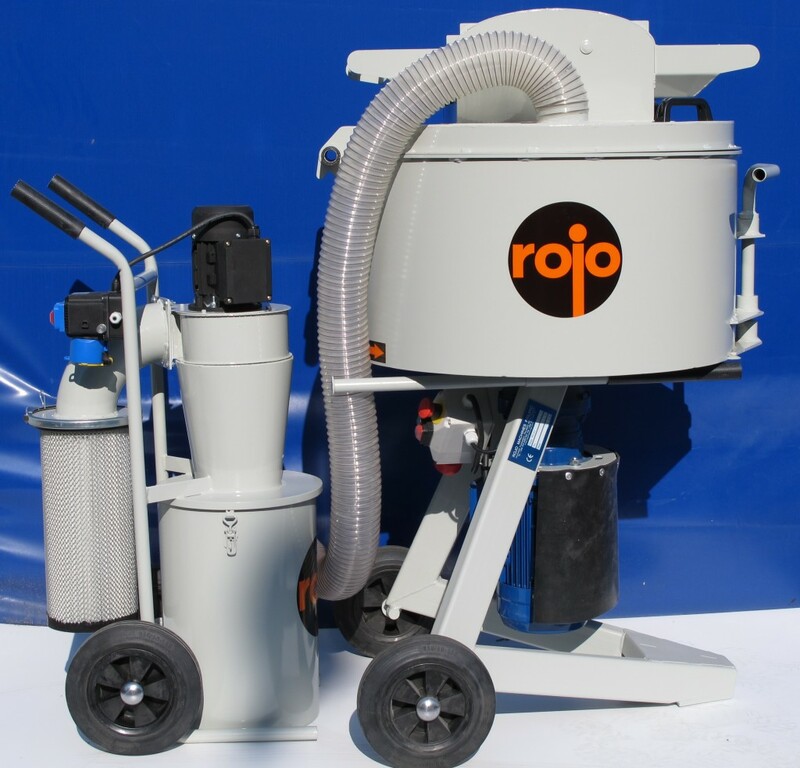 All our mixer models can be fitted with a dust removal system. 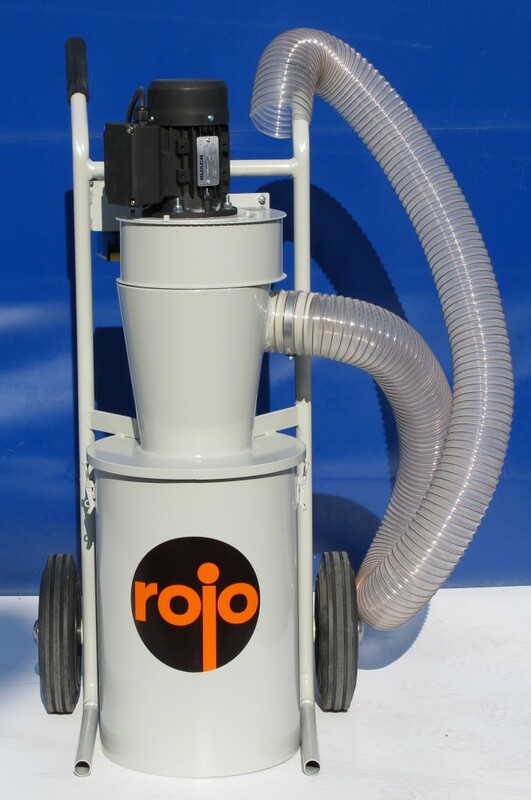 Rojo Dust free vacuum can be connected to all our mixer models. 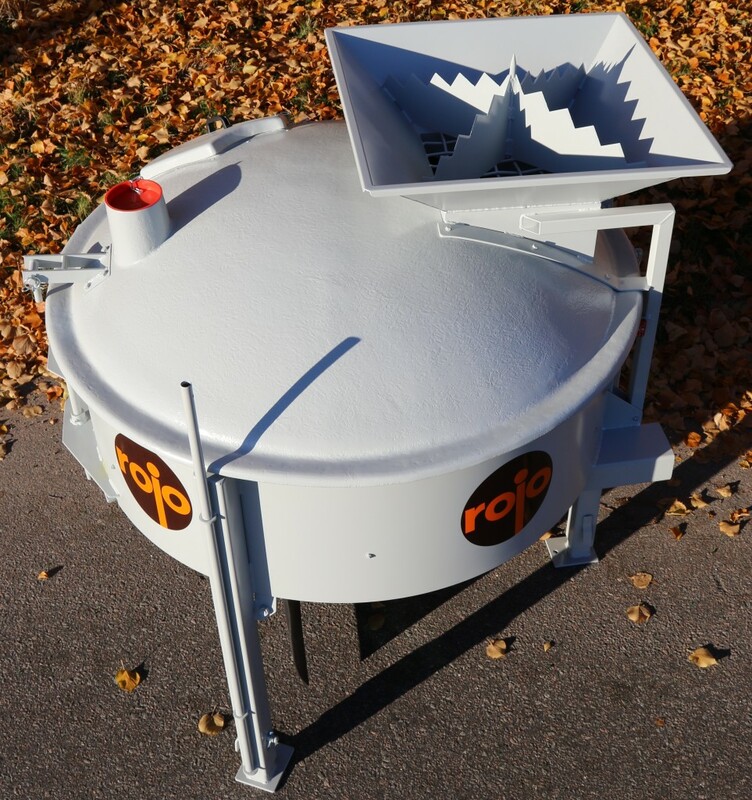 It creates just enough underpressure in the mixing vessel to prevent spreading of dust. Too much underpressure will remove the fine particles from the concrete and weaken the quality. 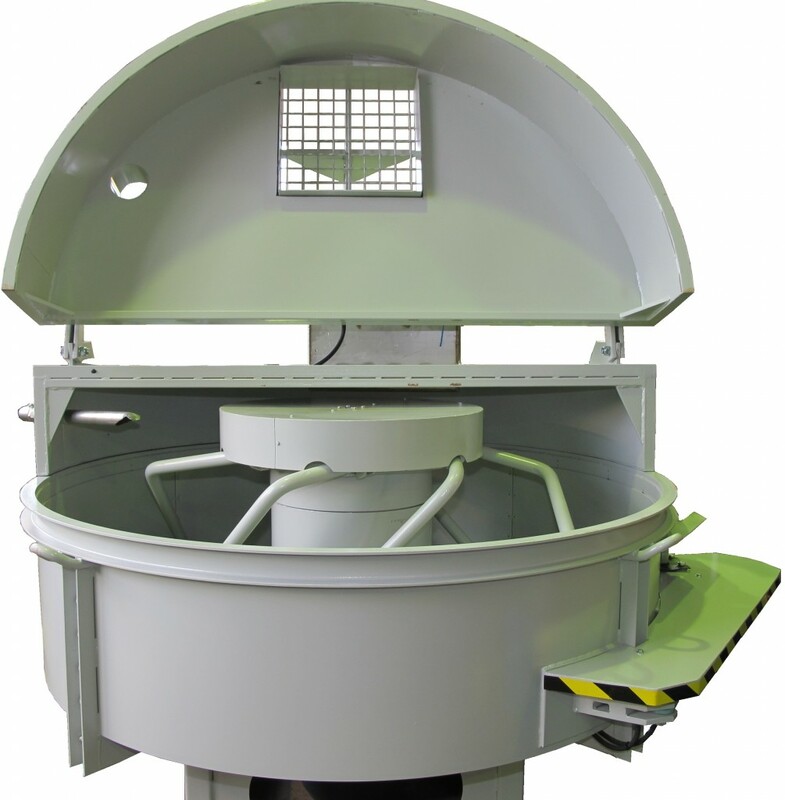 Our mixers can be manufactured from different steel qualities. We can paint our mixers in desired colors.